My name is Ashleeta Im a Burlesque Dancer and Pinup Model and I got my first break in pinup when I was discovered by Pinup Girl Clothing on their facebook page! I had JUST missed my chance to go to VLV but managed to meet everyone for the first time at the infamous PUG Yard Sale! This is where I picked up my first pieces from Pinup Girl Clothings House Brands! I decided to take a trip to Vegas despite the fact that I had just missed Viva to explore and wear all my new PUG swag! I took as many photos and I could in my new stuff and paired the White Cherry Swimsuit Top with the Black Bottoms and Sarong and I shared the photo on their page! I few days later Micheline commented on my photo asking me to shoot with them and I got in contact! It was such a fun amazing experience shooting with them and just being able to hangout with Team PUG! Im very thankful Micheline and Laura gave me the opportunity. Ive met so many amazing people on my adventures with them! 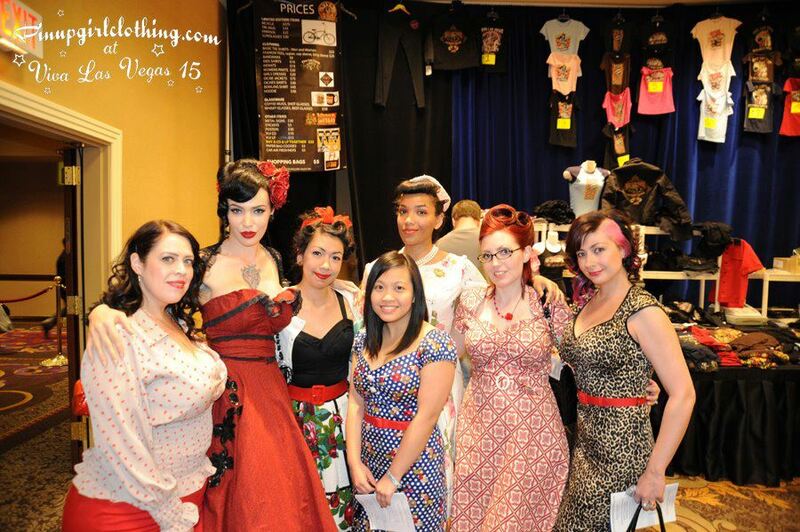 and being released at Viva Las Vegas 17 the Lydia Dress in Burlesque Print! I know it hasnt been released yet but that print is to DIE FOR!! Today I went on an adventure with the boyfriend! I decided since I live in the Hollywood area I might as well take advantage of the fact that most of the famous houses of horror from my favorite movies are just down the street! I love your photos! So beautiful!